(News from DSQVN in Indonesia) – In 2015, the number of fishermen Vietnam Indonesian authorities were arrested by Indonesian spike strengthen law enforcement activities at sea, especially in specific areas economic rights. Compared to 2014, and some years earlier, the annual average number of fishermen was arrested and the return of more than 200 Indonesian fishermen. Only in 2015 the number of Indonesian fishermen were handed over to our side is over 650 people, or about 3 times higher than previously. 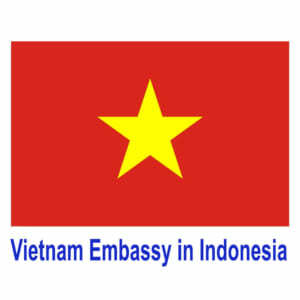 In order to continue the humanitarian policy of the Party and the State and a better citizen protection functions, from December 19, 2015 to 21 years 12 2015, Ambassador Hoang Anh Tuan was a business trip in Batam and Riau – one where fishermen have been arrested and tried most. 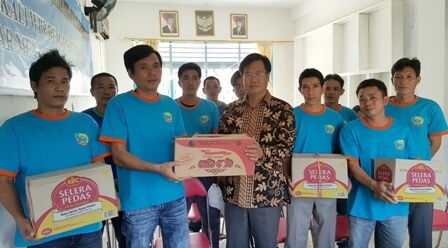 During the visit, Ambassador Hoang Anh Tuan had a meeting with representative local government leaders in Batam and Prisons (Ministry of Marine and Fisheries) in Batam, Prisons (Ministry of Law and Human Rights) in Tanjung Pinang; visit, chat and give gifts to the detained fishermen. At the meeting, Ambassador Hoang Anh Tuan Indonesian proposal: (i) the humane treatment of Vietnam fishermen; (Ii) maintain and regularly exchange information with the Embassy and timely notification of cases fishermen have been arrested to the Vietnam Embassy in Indonesia; (Iii) You wish the story fishermen handle not only based on the laws and regulations of Indonesia, which are based on international law, the traditional friendship and good relations between Vietnam and Indonesia ; (Iv) not to conduct scuttled the ships of fishermen have been confiscated, captured images are not good cause to relations between the two countries; (V) the implementation of clemency, reduce penalties for fishermen on the occasion of the Lunar New Year in Vietnam. Ambassador Hoang Anh Tuan also expressed thanks to the cordial reception and facilitated by local government leaders and a number of authorities towards you for the Union. Ambassador pledged to cooperate closely with the Indonesian authorities to find effective measures to solve this problem, contributing to further strengthen bilateral relations in the coming period. Representatives of local government agencies in Batam and Riau Indonesia expressed honored to welcome the Ambassador to visit, promised humane treatment to fishermen and will soon transfer the message to the leadership of the Ambassador of central government Central Indonesia.